The 15th District of Illinois is a rural district. Therefore, many kids rely on Medicaid for their healthcare. There are many structural problems with Medicaid that must be tackled. We must address these systemic issues as well as the other drivers that increase the cost of healthcare for individuals and families. Those with extremely high premiums AND deductibles need immediate protections and retroactive relief. Reduce costs of prescription drugs by allowing foreign sourcing and competitive bidding. Provide preventive care to reduce costs for the public and in the long term. In areas with one or no provider, offer a public option. This would be similar to Medicare, but with higher premiums but with more manageable deductibles. In order to reduce costs in the marketplace, allow the chronically ill and the disabled to gain access to Medicare, regardless of ability to work. This will give stability and certainty to this population while simultaneously reducing costs of insurance for the broader population. For those accessing insurance through either Medicaid or the marketplace, increase access to credits and subsidies for being healthy, exercising plans, and non-utilization of healthcare. This will decrease the cost of healthcare for those who may not need it but who might need it for catastrophic conditions. We have to allow insurance companies to sell across state lines. Also, if an insurance company sells a policy to a business, that same policy should be available for sell to individuals or families, creating real competition in the marketplace. And, we must provide more access and choices for women and families across the country, especially in rural areas that are underserved. Together, we can make healthcare more affordable for all of our citizens. This is a difficult problem to address, but it is possible. If you have problems accessing healthcare, I want to hear about it. Please contact me with your specific issues. A campaign cannot run on ideas alone. This campaign is about you. That means we have to reach you wherever you are in the 15th District of Illinois. Donate Today! The 15th District is the largest district in the state, encompassing 30 counties. That’s a lot of territory to cover. As a candidate, I need to visit every county and listen to as many voters across this amazing district. Your contributions will assist in getting the vote out, mailings, organizing, and so much more. 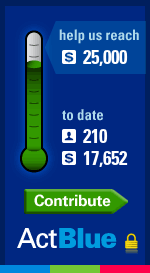 You can easily contribute at ActBlue. This site is secure, efficient, and set up for ease of access for both contributor and candidate. If you find any difficulty in donating on that website, please give me a call or email me anytime. Q: Other than “expanding access to employer based plans” and providing federal subsidies to help those who can’t afford those plans… that pretty much describes the essence of the ACA. What else are you proposing? After all employer based plans are just insurance companies providing plans to employers at group rates. If those same companies are now dropping out of the exchanges because their profit margins are dropping, what will change? A: One of the big changes is to help stabilize the marketplace by moving the chronically ill and disabled to a Medicare-type federal program. As you rightly say, some insurance companies are dropping out of the exchanges currently. Moving this group into a federal program will help in that regard. Q: As someone who has worked in healthcare reimbursement for providers for over 30 years, I am continually frustrated at politicians who won’t address the issue of how much of this country’s healthcare $ wind up in the hands of the insurance companies and not those providing the care. A: You are rightly concerned about money ending up in the hands of insurance companies, especially taxpayer money. Those that are most in need of healthcare need a stronger advocate to help manage costs. The insurance companies have failed in that regard. Medicare, with regard to provider and hospital care, does well with cost management. There’s a great deal more progress to be made with Medicare Part D.
There is such an intransigence for many people on healthcare reform, which is completely understandable . . . healthcare impacts all of us. For many, including myself, it’s a life or death issue. Trump-Shimkus Care is simply the worst possible outcome any of us could possibly imagine. Reforming healthcare is difficult and discussing it can be darn right inflammatory for some. My approach is different than others. I want to provide immediate relief to as many people as possible without upsetting too many individual and family plans. Those are my principles when tackling this issue. I believe there is consensus to be found that can make real change for People on this issue with dedicated perseverance over the short and long term. I’ve fought for the chronically ill on this issue before. I’m ready to do it again. A: When you’re denied insurance, you work, you shouldn’t be fined. Under the ACA, those fines(taxes) go to pay for subsidies. I’ve seen these taxes firsthand . . . The fine is literally that high, and it’s too damned high for anyone to pay. There has to be immediate, retroactive relief for Americans like yourself. Not only does it right a wrong, that retroactive relief would be a boost to local, mostly rural economies across the country. That’s a multi-billiondollar boost to the economy. The ACA made some progress, but it also created problems for so many people. We have to tackle each of those problems. Trump-Shimkus Care wants to cut taxes to those who don’t need the tax cut and who won’t be pumping that money back into the economy. I think we’ve all learned the hard lessons of ‘never-trickles-down-to-us’ economics. Hardworking Americans deserve the tax cut. I’ll fight for that on the campaign trail and in Washington.